This is where a 'Top-Up Plan' becomes handy. A top-up health insurance policy offers an additional sum insured to counter any medical emergency or prolonged illness when the existing cover by primary health policy falls short. Healthcare inflation in India is mounting. As per HDFC ERGO, medical treatment costs are increasing at nearly 20 per cent every year that raises the need to increase the health cover to cope up with rising medical costs. This is where a 'Top-Up Plan' becomes handy. A top-up health insurance policy offers an additional sum insured to counter any medical emergency or prolonged illness when the existing cover by primary health policy falls short. A top-up health plan is a regular indemnity policy that covers admissible expenses after the threshold limit is breached. The threshold limit is known as 'deductible'. A deductible is the limit up to which the medical cost will have to be borne either by the basic health insurance policy or by the policyholder himself out of his own pocket. Top-Up plan will become active only if the admissible claims cross the deductible amount. 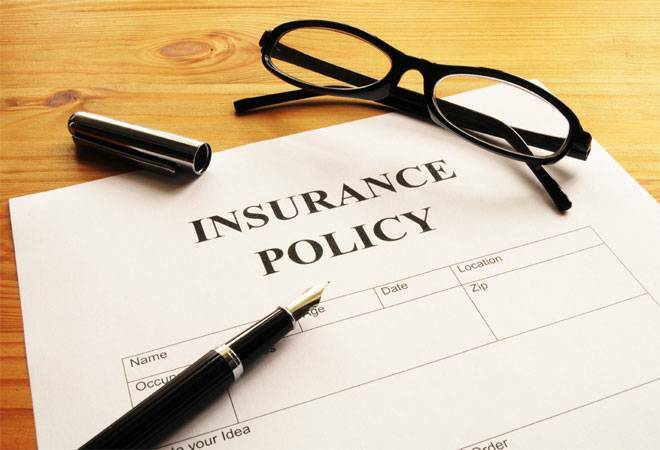 Policyholder has to choose the deductible limit at the time of purchasing the policy. One may choose the deductible limit equal to the existing insurance cover and this way enjoy a higher insurance coverage. For an instance, Ms. Aananya has a Top-up health insurance policy worth Rs 5 lakh with a deductible of 3 lakh rupees. She meets with an accident and gets admitted to a hospital. The hospital bill shoots up to Rs 4 lakh. In this case, her top-up health policy would be liable to pay Rs 1 lakh only. She would have to pay initial Rs 3 lakh out of her own pocket or may be through primary health insurance policy. However, in this case, if the claim amount was Rs 3 lakh or lower, her top-up plan would not become active as the deductible limit was not breached. Who needs Top-Up health insurance? Anyone with or without a basic health insurance may go for a Top-Up plan. The basic aim of a Top-Up plan is to increase the existing health insurance cover. Whosoever wants a bigger cover may go for it. A top-up health plan is equally useful for those who are covered by their employers under group health insurance plans. Not to forget that employers health cover ceases to exist once you retire or change job. A person may also feel the need to buy more insurance when he or she gets older. Old age increases the chance of getting ill and medical emergencies. Such people may also opt for a Top-Up health insurance plan to enjoy a higher insurance cover. There are two kinds of Top-Up plans. First are those where each and every hospitalisation would be considered as a separate claim and deductible applies to each hospitalisation. For example, in above example, if Ms. Aananya gets hospitalised twice in a year. Supposedly, her first hospitalisation incurs her claim of Rs 2 lakh and second visit leads to a claim of 2.5 lakh rupees. In such a case, she will need to bear all the expenses on her own or through her primary health insurance policy. The benefits of Top-Up plan will not kick in as a single claim amount did not violate the threshold limit. Second type of plans are Super Top-Up plans where threshold limit applies to total expenses incurred during the policy period irrespective of the number of claims. Taking the same example, Ms Aananya's Super Top-Up plan will become active at time of second claim when total deductible of Rs 3 lakh gets breached. Her first claim of Rs 2 lakh will be borne either by her basic health policy or on her own and out of her second claim of Rs 2.5 lakh , her Top-Up plan would indemnify her for Rs 1.5 lakh. How to choose a Top-Up plan? Decide the amount you want to increase your insurance cover and look for premiums under various plans before you end up buying a policy. Higher the deductible, lower would be the corresponding premiums. However, you cannot choose a random figure as deductible. This amount should not be more than what you can pay comfortably in case of a medical emergency. Or, if you have a basic health insurance policy, you may keep the deductible limit equal to your basic policy sum assured. Out of the two kinds discussed, first type of Top-Up plan has a drawback. It will not get triggered if one time hospitalization bill is not more than the deductible limit. So, if you have multiple claims but each claim amount is lower than the deductible amount, the policy will not pay anything. Apollo Munich Optima Plus, ICICI Lombard Healthcare Plus, United India Top Up Medicare are some of the examples of Top-Up plans where deductible limit applies afresh for each hospitalisation. On the other hand, Super Top-Up plans are better designed and more useful. It may happen that the claims are big due to number of visits. In this case, a Super Top-Up plan will sum up all admissible claim amounts in a policy year and would get into action once the threshold is breached. Super Top-Up plans are far cheaper than buying a new basic health insurance policy. For an instance if a 30 year old has a basic health insurance of Rs 3 lakh and wishes to increase her insurance cover by another 5 lakh rupees, a basic health insurance policy would cost somewhere between Rs 5,900 to Rs 7,000 PA whereas, a Super Top-Up Poliy worth Rs 5 lakh with a 3 lakh deductible would cost around Rs 2,800. HDFC ERGO Health Suraksha Top-Up Plus, Religare Enhance Super Top-Up, Star Super Surplus, Max Bupa Health Companion and United India Super Top-Up are few examples of Super top-up plans. While Super Top-Up plans are a bit expensive than Top-Up plans, but the benefit no doubt outweighs the additional cost. Super Top-Up plans serve the purpose of increasing health insurance at a low cost.